Specializing in No-Scalpel, Laser Blepharoplasty, Festoon Repair, and Cosmetic Treatments located in New York, NY and Miami, FL. Dr. Gupta is one of New York City’s premier eyelid and cosmetic surgeons. She is an award-winning doctor whose accolades include Top Doctor 2017 (Castle Connolly), Exceptional Women in Medicine (Castle Connolly), Top Cosmetic Surgery Practice (Best of Westchester, Westchester Magazine), and Doctor of Distinction (WAG Magazine). She has been in practice for 22 years and is Board-Certified by the American Board of Ophthalmology and a Fellow of the American Academy of Cosmetic Surgery. Dr. Gupta has achieved top academic credentials from being High School Valedictorian to graduating with Highest Distinction (Alpha Omega Alpha) from the exclusive Northwestern University Honors Program in Medicine to completing a residency in Ophthalmology at Stanford University in 1994. She then received advanced surgical training in Eye Plastic Surgery upon being selected for a highly competitive fellowship approved by the American Society of Ophthalmic Plastic and Reconstructive Surgery. Blepharoplasty, or cosmetic eyelid surgery, demands not only a fellowship-trained eye plastic surgeon, but a highly skilled ophthalmologist with a thorough understanding of the ocular nerves, blood vessels, muscles, and tear ducts to ensure a safe, beautiful result without any risk to vision. 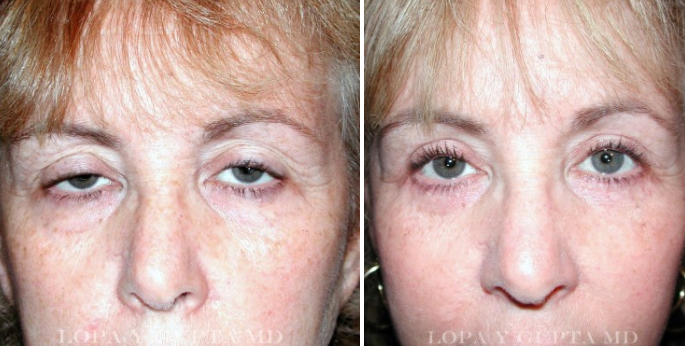 She has created and mastered the technique of bloodless, no-scalpel laser blepharoplasty under local anesthesia, avoiding the complications of general anesthesia or IV sedation and the bruising and downtime associated with traditional surgery. 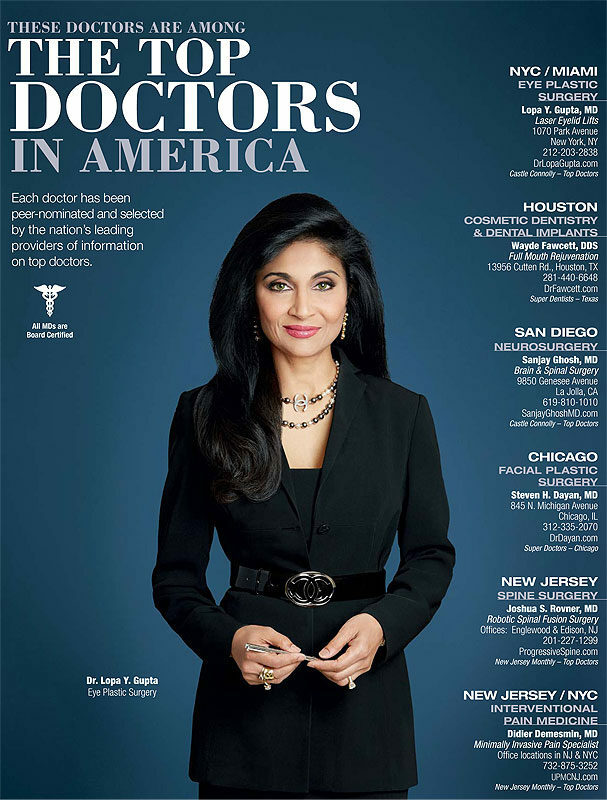 Dr. Gupta’s aesthetic sensibility stems from her foundation as a performing artist and decorator. She has become New York City’s “go-to” laser blepharoplasty surgeon for the savvy patient who desires a natural and artistic result without changing the shape of the eyes. The individual still looks like himself or herself—just brighter and more refreshed! Dr. Gupta is not just a top-notch surgeon–patients are instantly drawn to her sincere, soothing, and approachable bedside manner. She listens intently to each patient and she “gets it.” Her compassion has not only earned her numerous accolades from patients, but it inspired her to found her own not-for-profit foundation, SaDilka, through which she and her family perform medical and surgical missions throughout the world to help those less fortunate. Dr. Gupta maintains a boutique-style practice in her luxurious, tranquil Park Avenue office, which she herself designed and decorated. She also has satellite offices in Westchester and Miami. Her highly trained and supportive staff are dedicated to providing each patient with personalized postoperative care to ensure optimal, expeditious healing. It is no wonder that patients have hailed from over 25 states and 10 countries. Her A-list clientele include high-profile Hollywood celebrities, politicians, CEOs, socialites, doctors, lawyers, and models. 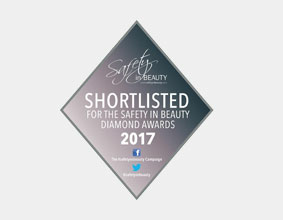 She has performed over 6,000 laser blepharoplasties and over 20,000 total cosmetic procedures, including brow lift, ptosis repair, complex festoon repair, laser liposculpture, tear trough filler, non-surgical and mini SMAS facelifts, revision eyelid surgery, and PRP injections for hair and skin rejuvenation. Education, licensure + certification, memberships, honors + awards, philanthropy, experience, appointments, publications, scientific presentations and speaking engagements.